Social media marketing is important to every business. and helping you promote your website. lasting relationships with your visitors and customers. It’s no longer enough to have a thriving blog – you need to be socially active. 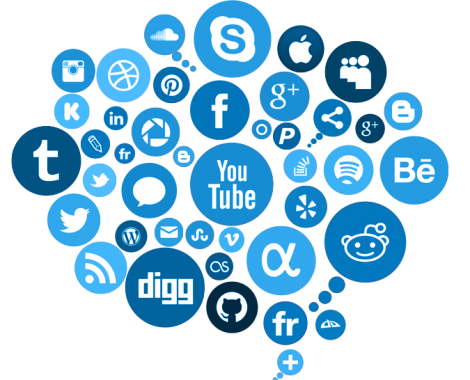 At Think Big Engine, we provide complete social media management of all your social accounts. We take care of keeping all of your profiles up-to-date, so you can focus on what matters most – your business. We know what it takes to get your audience to engage with your brand. If you’re brand is not on the latest and greatest social networks, you bet your competitors will be. Marketing has changed, and the new world of social media allows you to build your brand in a whole new way. Our management team will analyze your current profiles to understand your audience. Are your potential customers hearing your message? When is your audience most active? What content does your audience prefer? leverage social media to boost your business’s profitability? We can tell you right now that they’re not interested in what you had for breakfast or what movie you’re watching tonight. Answers to questions. Answers only industry experts would know. inspires and informs them about your product, service or industry. We analyze the industry, use hashtags your audience is searching for and help you join in on the conversation. Complete management allows us to find the pulse in your audience and establish you as an industry influencer. As your social media presence grows, you’ll find that your customers are more loyal, you get more leads, and your profit margins increase. It’s time to reach the billion people that log into their social media accounts every day. Contact Think BIG Engine today to see how we can boost your social media presence. Use our online form to receive a FREE consultation.